I’ve been lax about this blog– I never did finish writing about my trip in May. I’ll get to all that eventually, though, because there were definitely some interesting moments that deserve a write-up. But right now the excitement is that in four hours my brother Don will be here with me in Moscow. For years most people didn’t even know I had a brother because we weren’t in each other’s lives very much. He’s older than I am, about 17 years older, so he was already good and grown when I was born. His life has been very different from mine; my Dad is his father but he had a different mother entirely, one I never knew. Dad carted Don around the world a little, just like he did with me, so Don lived in Alabama, Scotland, and Minnesota. When I was five, I moved with my Mom and our Dad to Arizona and Don stayed behind in Minnesota, where he lived for another thirty years. He worked for the St. Paul police department as a mounted police officer and lived just across the border in Wisconsin with a yard full of animals. 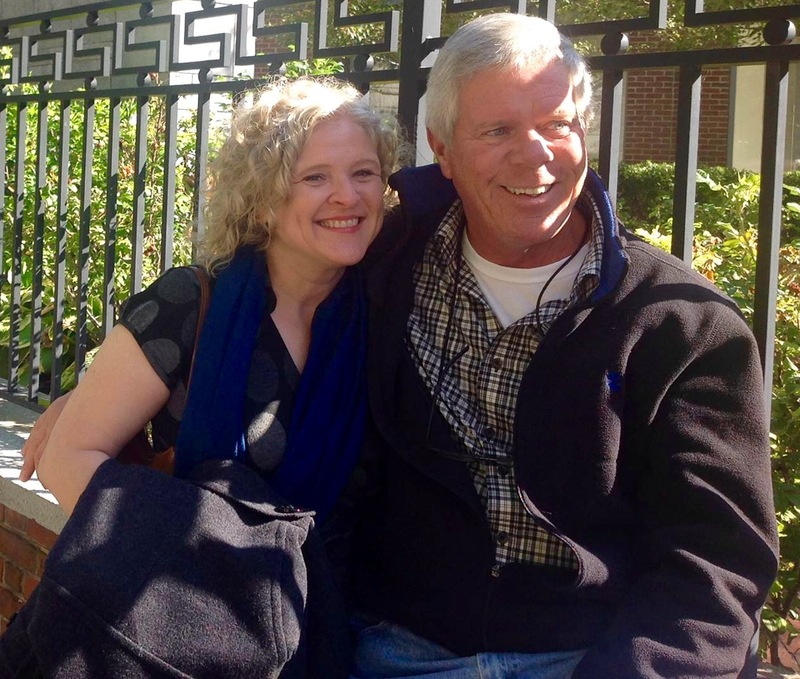 When he retired he moved back to Alabama to be closer to my parents, and I have to tell you, his retirement has been like a re-awakening for our relationship. One of my biggest joys in visiting my parents now is spending time with Don. But we don’t often get much time one-on-one, usually just a siblings’ lunch here and there. So this is our big chance. It’s still difficult for me to believe that my family has embraced my Russia obsession enough to come see it for themselves. I’m very touched. Welcome to Russia, big brother. Let me show you what it’s all about. Your reawakened relationship has brought joy to your parents as well. I can’t wait to hear all about the fun the two of you will have on this trip. Christmas will certainly be so special this year! You two have fun! Have a wonderful trip. Still hoping to meet both of you one day. I was actually thinking of you while flying to Wales. I was thinking of your blog. I thought how cool it must be to go to Russia.